Eclair sur la croisette! The Festival de Cannes is a celebration of cinematographic art. Every year in May, Cannes gives a sort of snapshot - both ephemeral and lasting, when one adds up the years - of what constitutes the art of cinema. 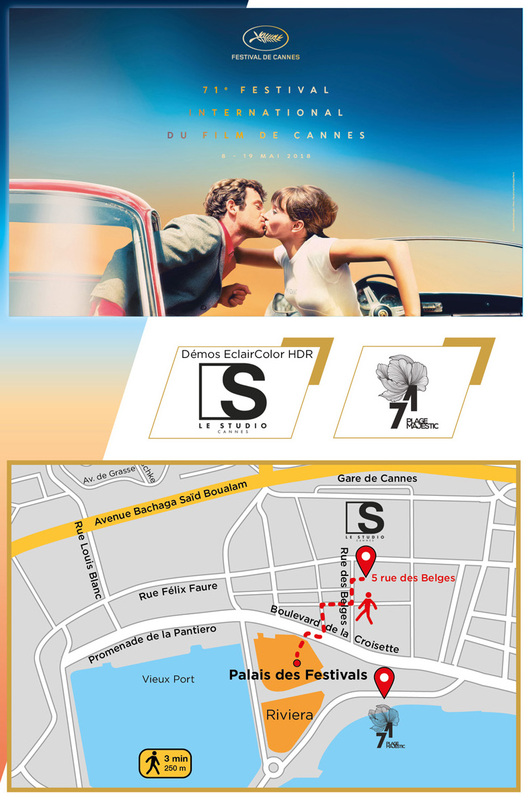 Eclair teams are present at Cannes 2018, from May 8-19 on the Plage Majestic 71, map below.